Yonex VCore Si 25 gives junior players option for developing spin game with even more ball control. The Bt Hybrid grommets in VCore Si 25 gives you 7% more spin. These grommets allow mains to move more freely in parallel direction whereas crosses are allowed to move more freely vertically to give the strings more bite and faster snap-back. This allows the strings to bite the ball without widening the gap between strings. As a result the open string pattern of VCore Si 25 gives players more spin potential without loss of any feel or control. The next generation 3D Vector Shaft has grooves starting from the bottom of the throat and extending all the way up to the frame. These corrugation significantly improves the structural strength (bending strength) so that the frame doesn't twist with ball impact. 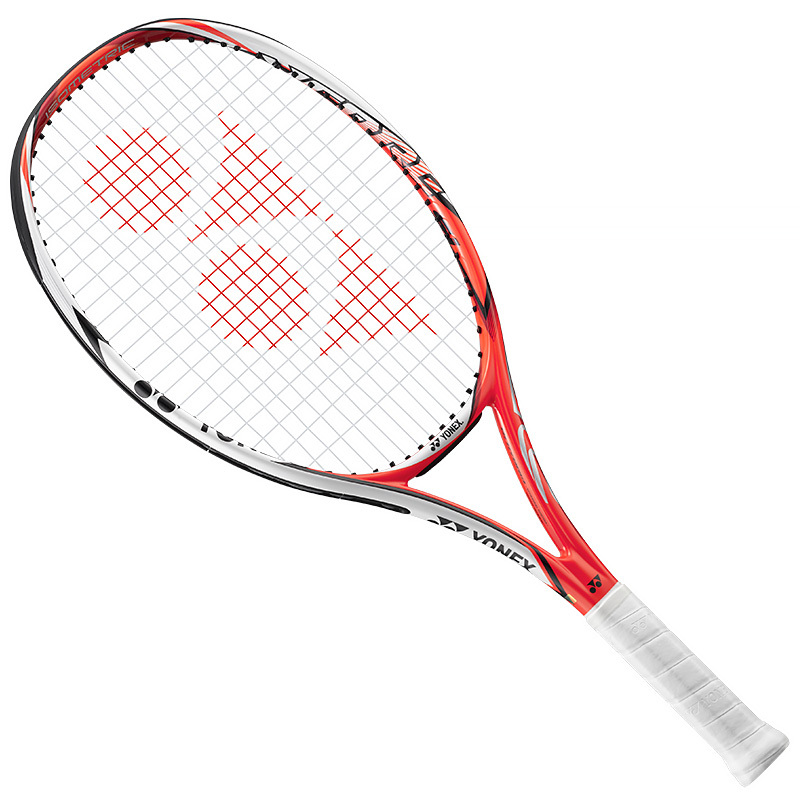 Do you own the Yonex VCore Si Junior 25 Graphite?